The Insurance Group, the long standing and trusted partner covering all insurance needs throughout the state, came to Hub & Spoke needing a custom website for blogging with built-in search engine optimization. The new TIG Compliance Curator was designed to help spread news about the health care law compliance to TIG’s clients in an easy to read and scan website. Using a simple color scheme with white space, we created a clean and simple aesthetic that matched the professional image of the Columbia based company. The second part of the project called for us to update The Insurance Group’s search engine optimization relating to health care laws. SEO work takes us deep inside websites, reviewing code, analytics and data, helping us find solutions for our clients. With a bricks and mortar store front, it is easy to determine how many people come to your shop in a given period and how interested they are in purchasing your offerings. When trying to determine a Website’s success however, it is not as easy since you cannot physically see your clientele and monitor their browsing and purchasing tendencies. Enter Google Analytics; a free tool that can be embedded into your Website with a few simple lines of code. Essentially, Google Analytics turns your Website into a veritable data mine. The tool collects information about visitors to your site and collates it, creating detailed reports on how visitors are accessing your site and what they are doing once they get there. Armed with this powerful information, you will be better able to make decisions regarding your Web properties and their management in order to maximize your return on investment. Some of the basic information delivered by Google Analytics includes the types of devices being used to access your site, the pages most visited and the amount of time each person spends on your site. With this information, you can easily determine which pages are working on your site and which pages require some work to maintain the users’ attention. In understanding what devices are most commonly used to access your site, you can determine what type of site will work best for your target market. Google Analytics will also enable you to learn what cities your visitors are hailing from, what search engines they are using to find you and what sites are referring them to your site. This information can help you understand how users are finding your site and what areas are weak and need your attention. This is particularly useful in determining what areas of your social media campaigns are driving the most traffic to your site. For example, if most of your visitors are coming to your site via Facebook, yet your concentration has been on LinkedIn, you can adjust the investment of your time accordingly. Although we have only briefly touched on the power of Google Analytics, it should be clear that the information provided by this tool is invaluable to Website owners. 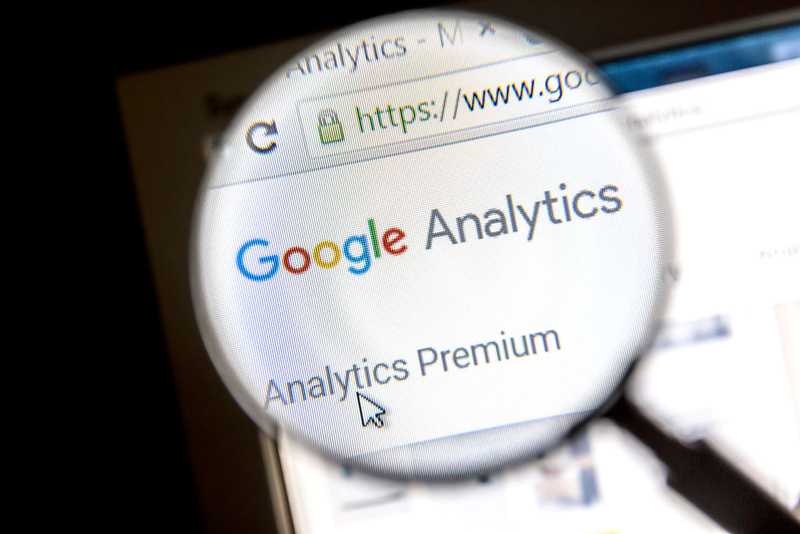 Harnessing the power of Google Analytics will enable you to make decisions regarding your site that will help increase traffic, and lengthen the amount of time visitors are spending on your site once they arrive. Not only will that lead to higher conversions, it will also improve your search engine rankings. Whether at home, at work or at ease, Jefferson City Magazine provides compelling stories and news from around town. Wanting a modern, responsive website design Jefferson City Magazine called upon us to help. With the majority of readers of Jefferson City Magazine on the go, adding a responsive web design was a must, allowing easy viewing on all devices. Since the launch, an overwhelming majority of visitors have viewed the site from mobile devices, proving websites cannot be made for only one platform. Accompanying the responsive design, custom forms were created, allowing user voting and newsletter signup. Ready to go responsive? Let’s talk.